NASA’s Dawn asteroid explorer has arrived at its new perch 2,700 miles from the dwarf planet Ceres, a vantage point scientists say will yield better views as the probe continues to step closer to the surface. Dawn is now flying about 2,700 miles, or 4,400 kilometers, from Ceres after spiraling closer to the Texas-sized dwarf planet over the last four weeks from an altitude of 8,400 miles. The spacecraft entered its new orbit Wednesday and resumed collecting scientific observations Friday, according to status reports posted on the mission’s website. The new orbit will allow Dawn’s framing camera to take picture of Ceres with three times better resolution than before. The probe will fly around Ceres eight times — completing one circuit every 3.1 days — before departing for an even lower orbit June 30. 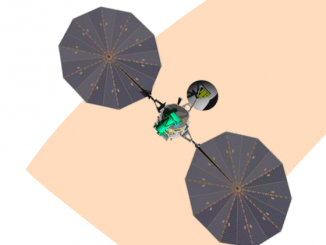 Dawn’s ultra-efficient xenon-fueled ion propulsion system drives the spacecraft between orbits around Ceres. The ion thrusters also allowed Dawn to visit two objects in the asteroid belt — Vesta and Ceres — becoming the first probe to orbit two bodies in the solar system beyond the moon. 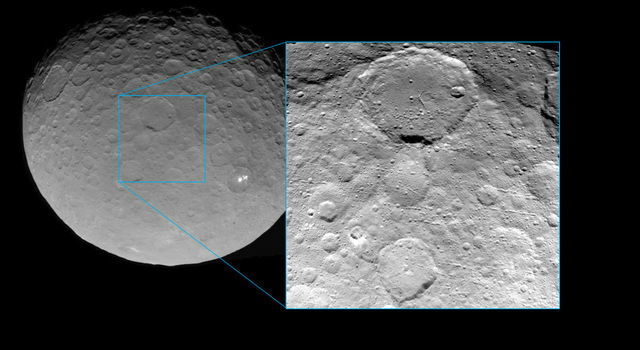 Dawn’s polar orbit around Ceres will give the spacecraft’s two main instruments to collect images and analyze the composition and properties of the mini-world’s surface. 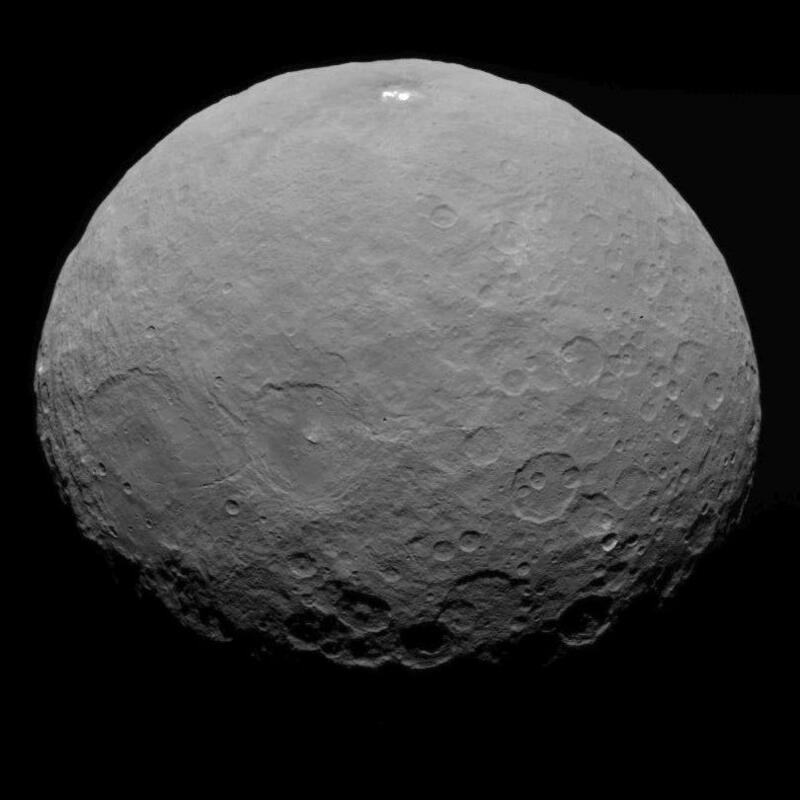 Some of the measurements will focus directly underneath Dawn, but it will also observe the limb, or horizon, of Ceres to study the dwarf planet’s shape and look for signs of material lofted into space by potential ice volcanoes. 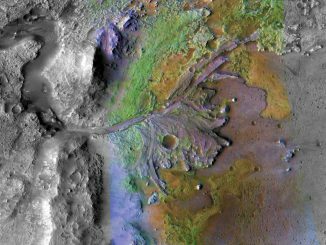 NASA released a teaser photo from Dawn taken May 23 showing how much better images will be during the mission’s next phase. Dawn’s next stop after June 30 is a “high-altitude mapping orbit” approximately 900 miles above Ceres, where the craft will conduct more detailed mapping for nearly two months. The probe will arrive in its final planned orbit in December, when Dawn will fly just 232 miles above Ceres until the mission ends in mid-2016.